Angie’s Safety & Training, LLC. in Carrizo Springs, TX offers defense driving courses. Don’t take proper safety training for granted. You could end up saving your own life or someone else's one day. Learn all of the skills you need right here at Angie’s Safety & Training, LLC. We are locally owned and operated in Carrizo Springs, TX. For your convenience, we are also licensed, registered, certified, and insured. 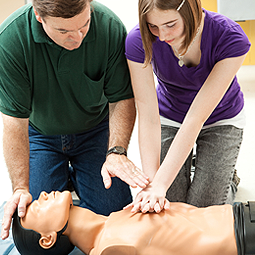 At Angie’s Safety & Training, LLC., people of all ages can learn proper safety instructions. You are never too young or too old to learn proper safety! At Angie’s Safety & Training, LLC., you learn from the experts! PEC Safe Land / Safe Gulf / Offshore / T.R.A.P. Come see us for low prices on safety instruction.